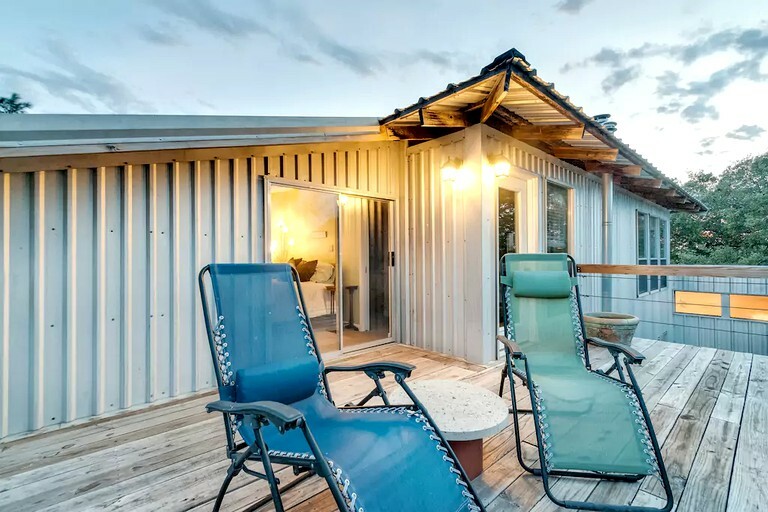 Located near the Fossil Rim Wildlife Center in Texas, this 1,200-square-foot cabin rental is a multi-level retreat with two bedrooms and one bathroom and can sleep up to five guests. 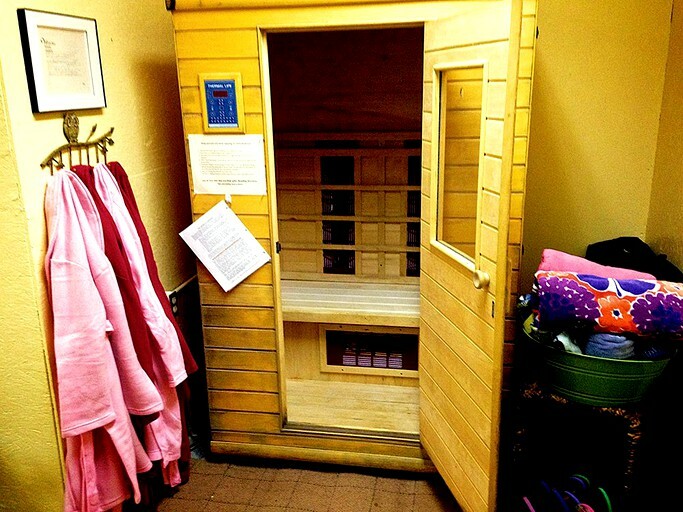 Guests here can indulge in the indoor hot tub, enjoy the sunshine deck and relax in the infra-red sauna. Guests will also find outdoor showers, a labyrinth and 900 plus acres to explore. 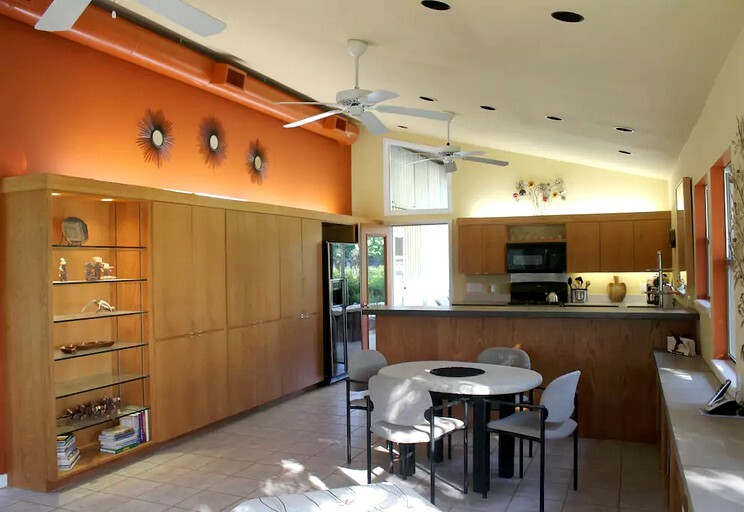 The main floor is an open area with the kitchen, conversation area, dining table, and built-in hot tub. 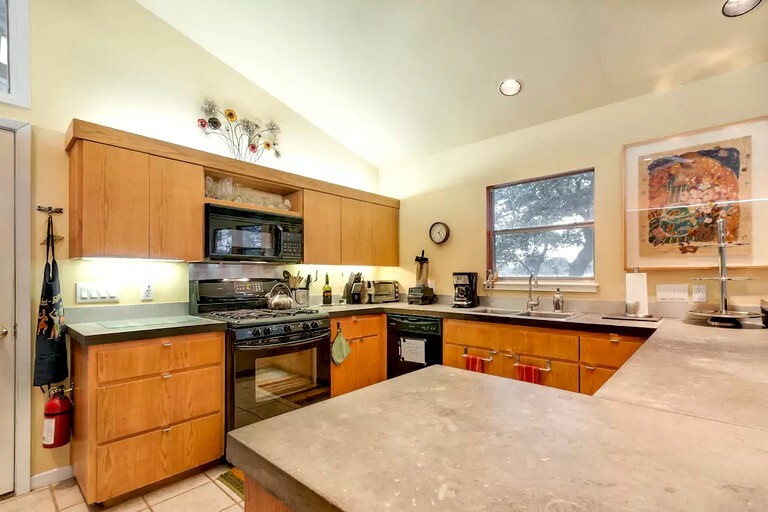 The nicely equipped kitchen comes set with equipment for cooking and preparing meals, as well as a dishwasher, a gas stove and an oven. 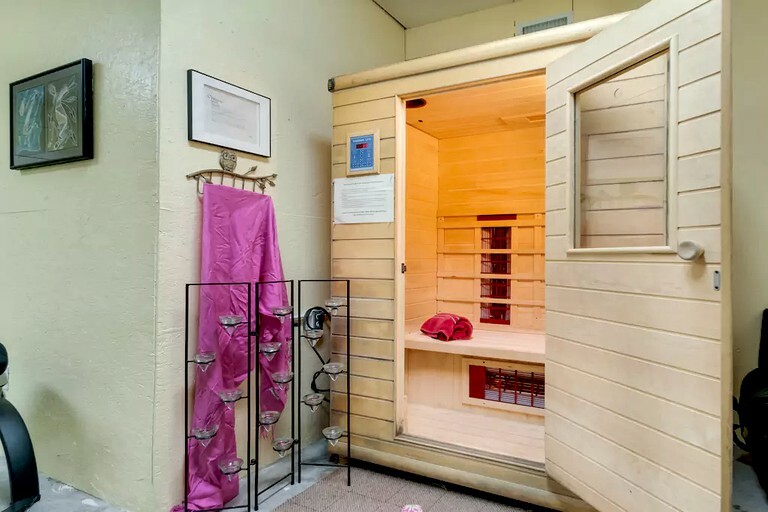 The hall leading to the upstairs brings guests to a half-bathroom and the laundry-workout room area with the infra-red sauna, and other equipment. 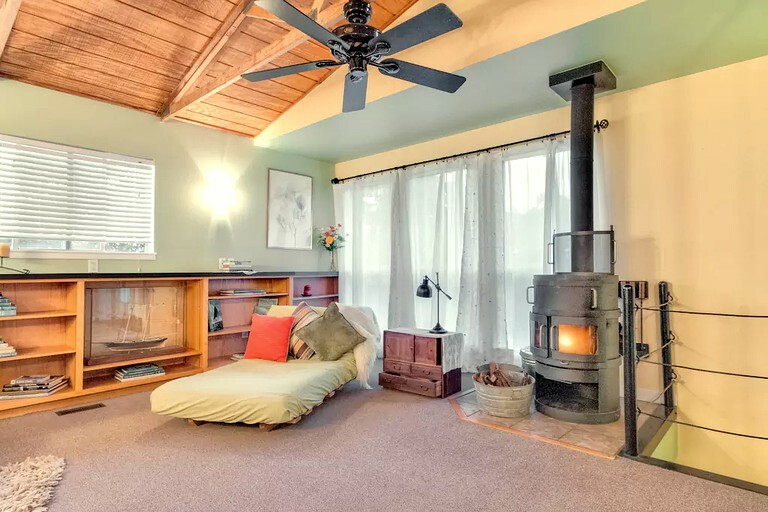 Upstairs, guests will have the main bedroom with a door onto the sunshine deck and another living area with a wood-burning stove. 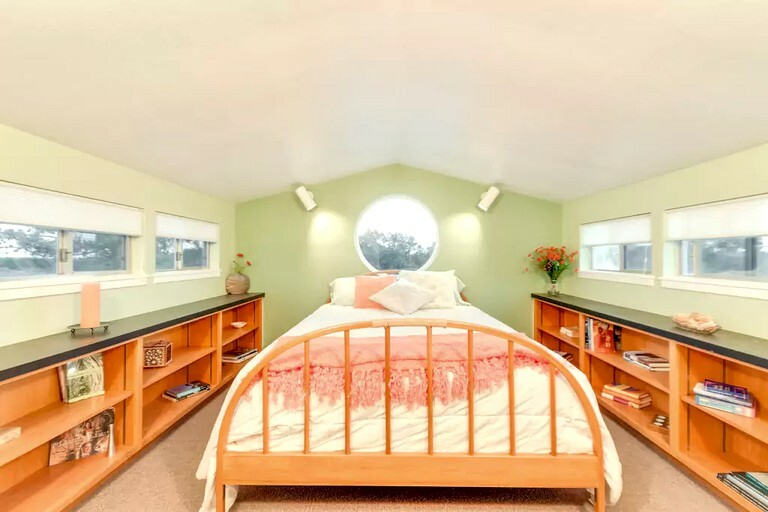 There are two upstairs bedrooms with queen-size beds and an extra single futon. 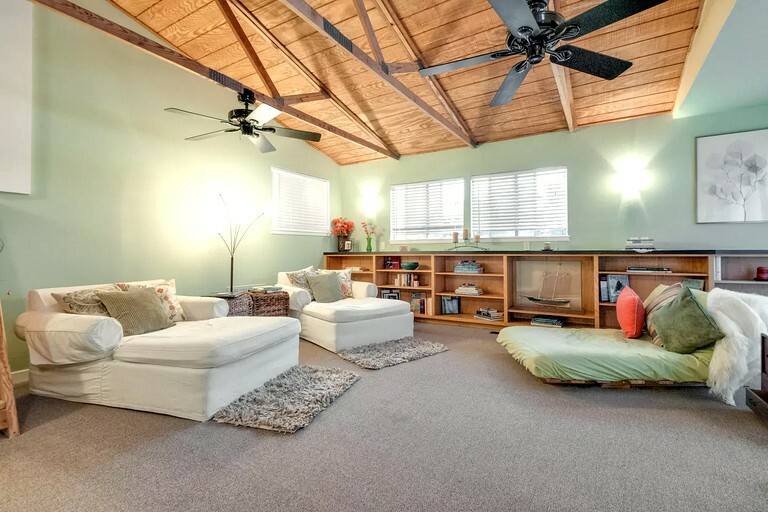 Inside, guests will have central heating and air-conditioning. 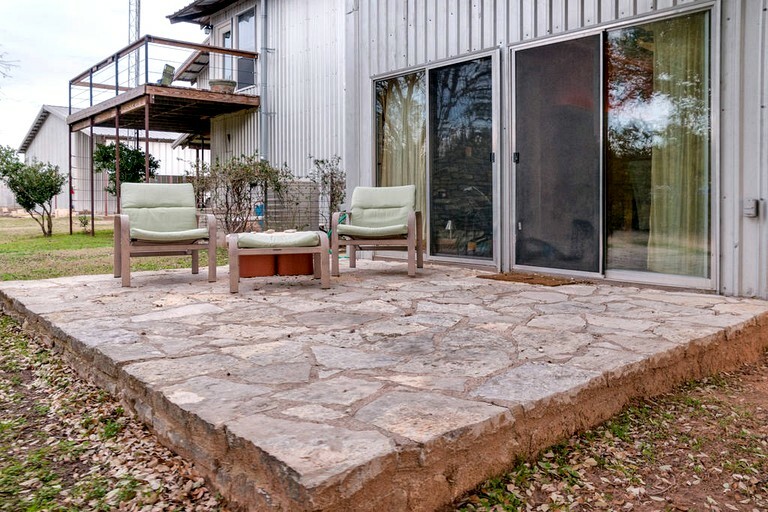 There is covered parking, and a covered patio with a huge Fossil Stone table and a propane grill. 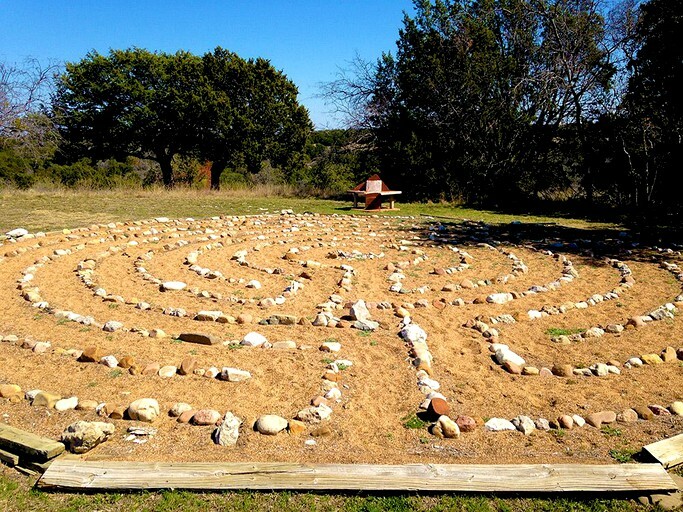 Jill Sablosky limestone art benches grace the labyrinth area in the front yard. 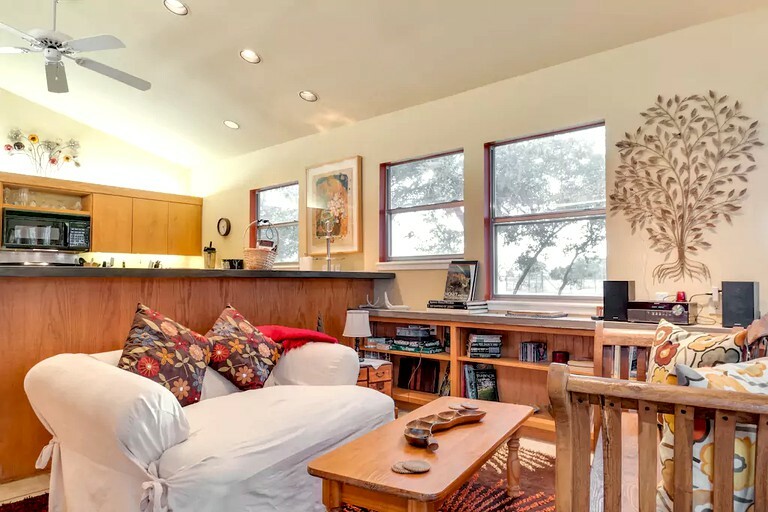 This rental is just under a mile off the county road which takes you to Fossil Rim’s Overlook and into Glen Rose, but far enough off the road for quiet and solitude. 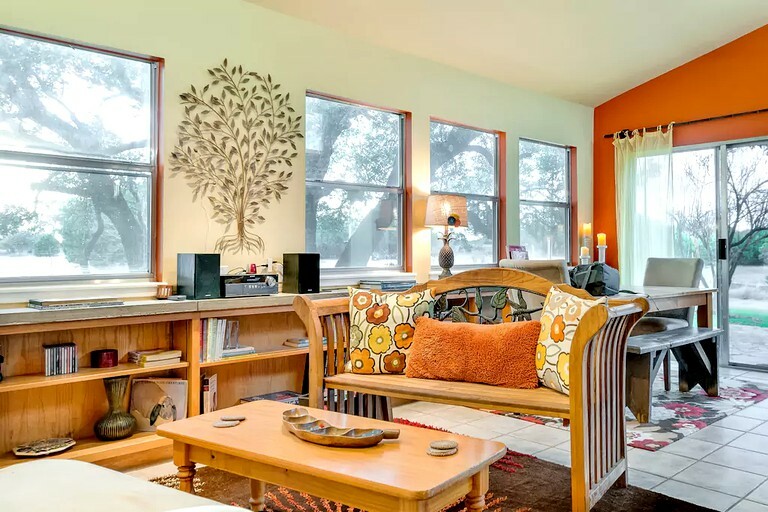 Located on hill country-like terrain with miles of trails, this rental offers perfect privacy for couples, small families, artists, and anyone wanting a get-away personal wellness and cleansing retreat. 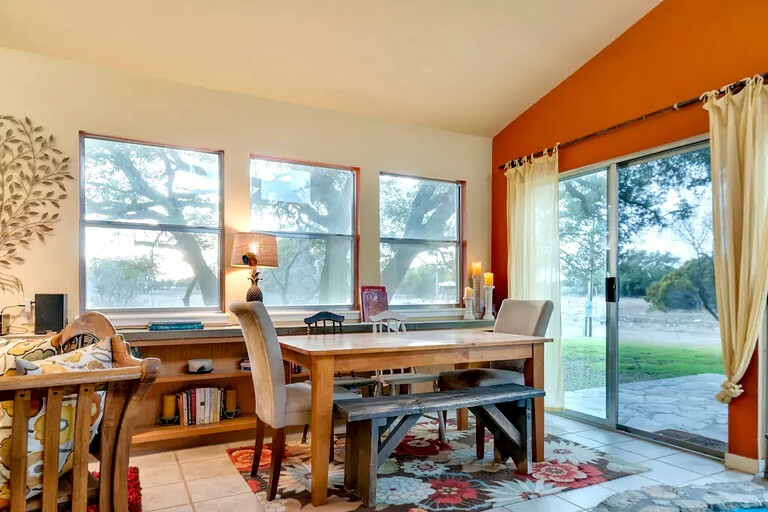 This rental is a great starting point to explore the 26 miles of fossil-laden trails on our organically and sustainably managed 900-acre ranch and sanctuary. Outside, guests will have a gas grill, with propane and a patio with seating for six. 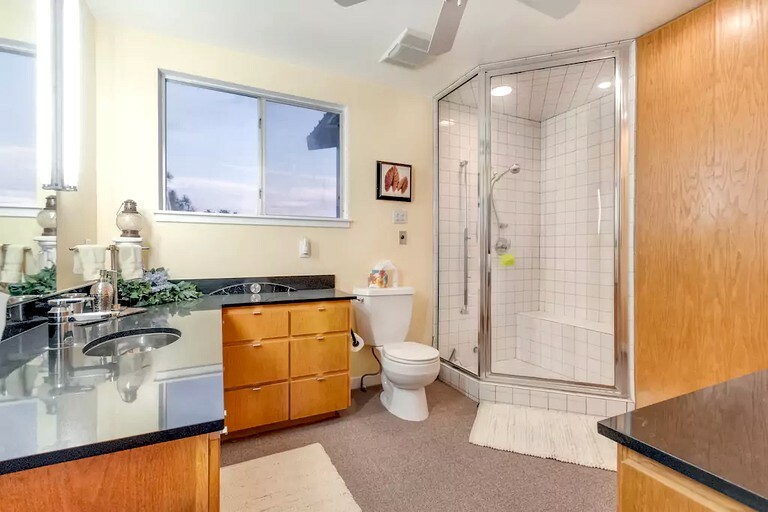 Guests here will have all the amenities they would find at home and more. 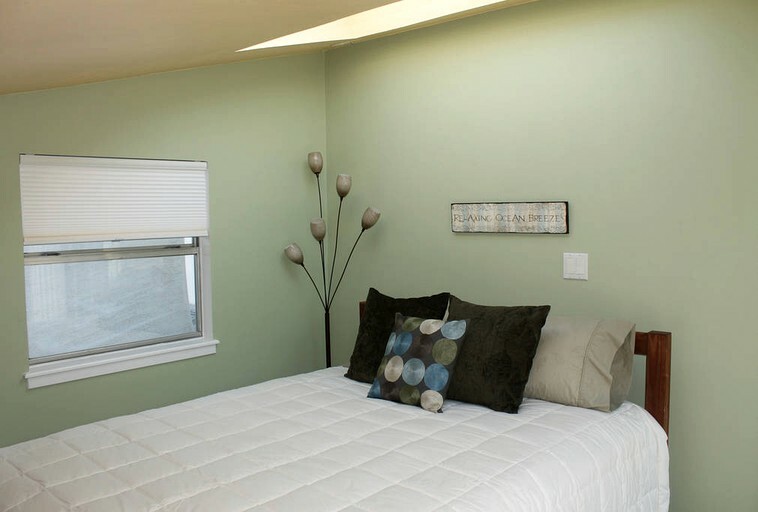 This property offers several different types of accommodations and all differ in size and facilities. Each house has a washer and dryer. We stock coffee, tea and cooking basics. Each house has a propane grill with a second tank. While we do have fire pits, we are often under burn bans due to our remote location, and having Fossil Rim Wildlife Center as our downwind neighbor! There is plenty of parking, even for boats and campers! 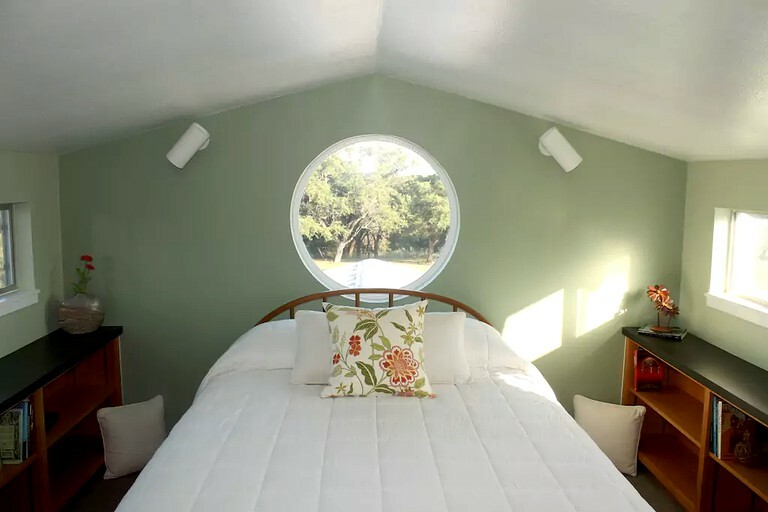 This glamping property is one of three unique vacation rentals located on this 1,125-acre, private, working ranch—located outside of Glen Rose in Somervell County, Texas. 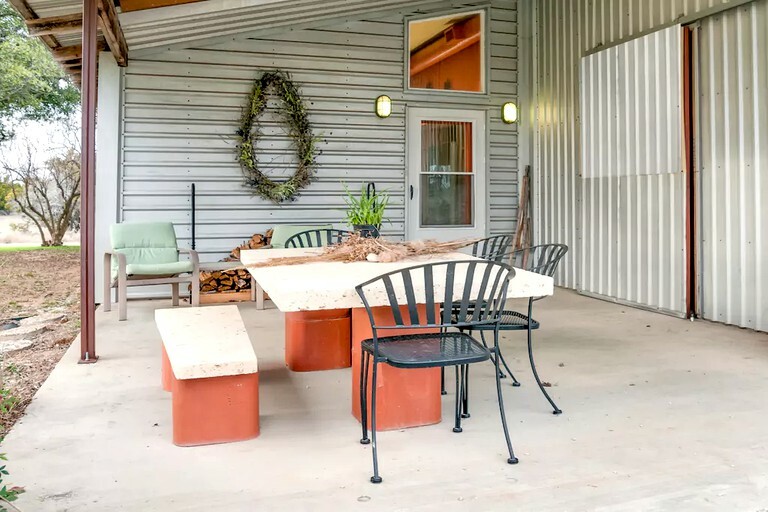 Guests who stay here will see goats and cows along with wildlife, and the ranch is situated on one of the highest points in the county, offering nearly endless vistas and fun to explore ravines. 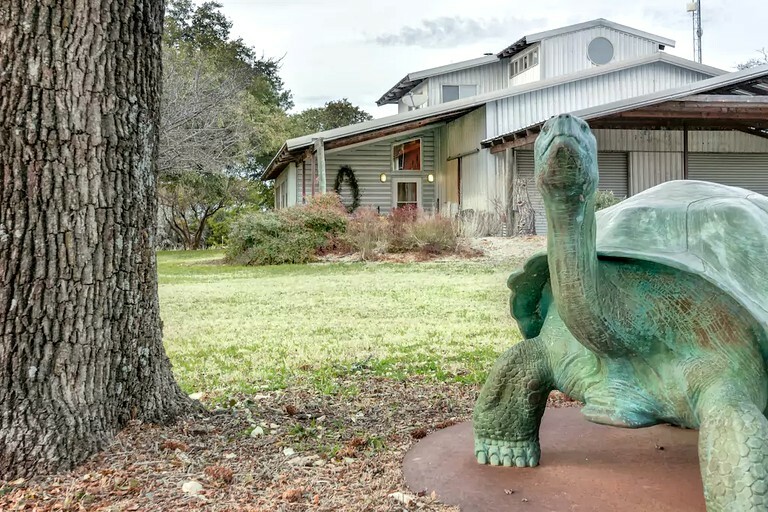 The property shares a fence with Fossil Rim Wildlife Center and is less than thirty minutes away from Dinosaur Valley State Park and Big Rocks Park on the Paluxy River. Guests will also enjoy 26 miles of fossil-laden trails to explore. 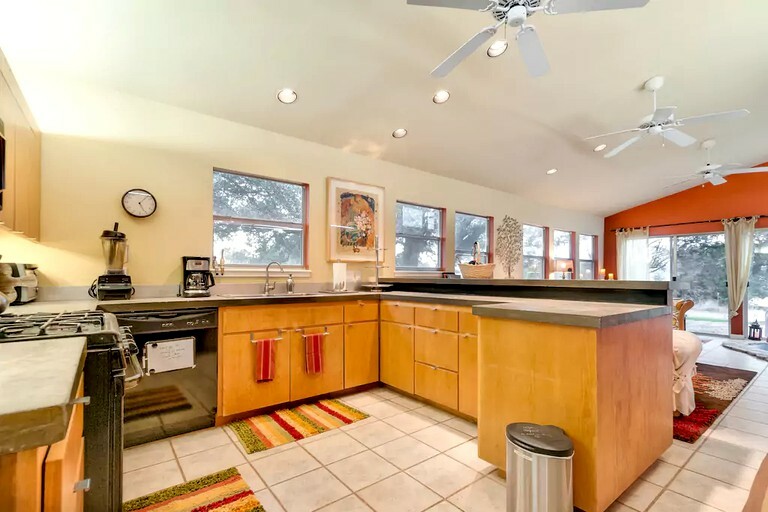 There is plenty to do on and around this property in Glen Rose. 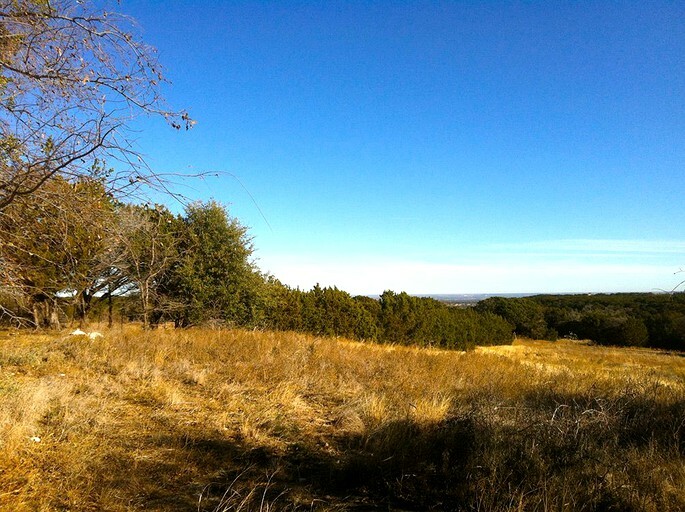 Many visitors never leave the ranch, spending their time hiking, enjoying the scenery from the front porch, fishing in the catch-and-release catfish ponds, and being with friends and family. Glen Rose is also a popular tourist destination! The hosts provide passes to the local swimming pool at Oakdale Park. 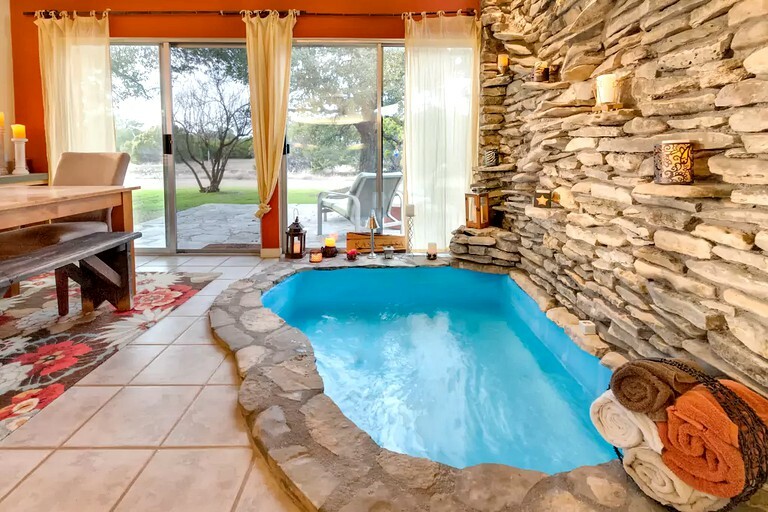 Oakdale Park is proud to have one of the largest swimming pools in the state of Texas called “The Plunge” — a quaint place in which guests will return to year over year. It area home to unique shops, several dining options, museums, galleries, and parks. The hosts keep a notebook with information on local restaurants, shops, and attractions. Across the River from the town square in Glen Rose is the Paluxy Heritage Park. 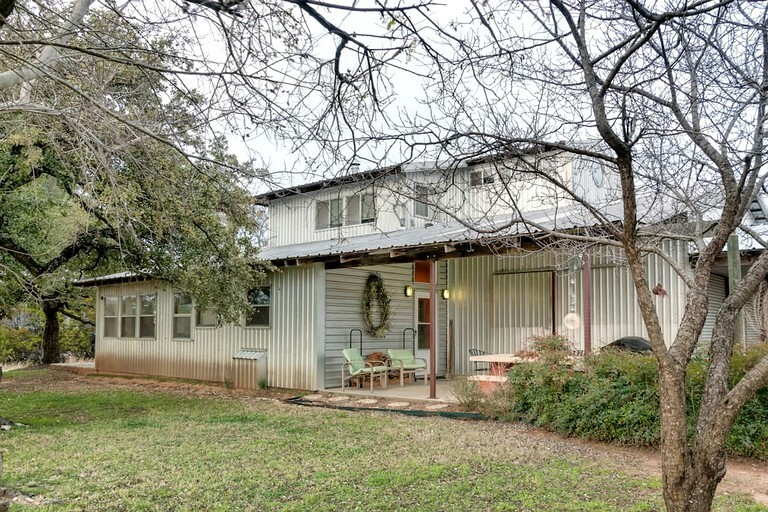 A final resting place for several historic dwellings from an earlier time in Somervell County, there is a log home, an early stone home, an early school house, and several other historic structures. Paluxy Heritage Park is a great place for guests to relax, or enjoy the river walk. The hosts also have discount tickets for Fossil Rim and the Promise. 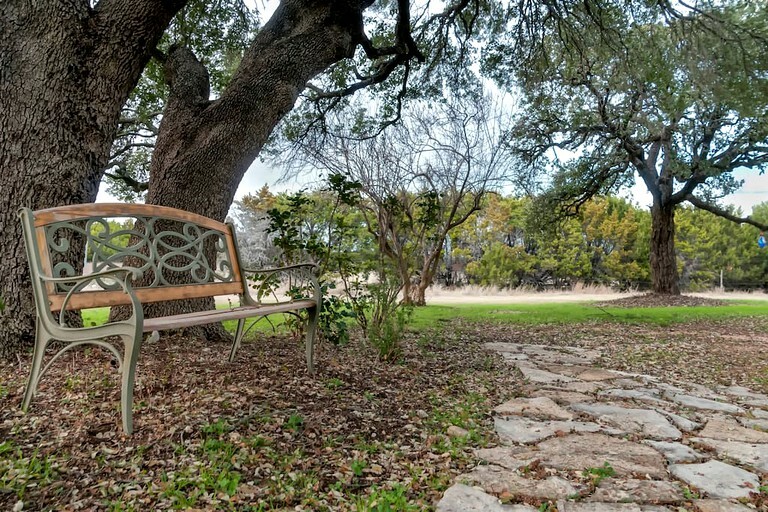 The following list includes activities that are available in the community—golf, swimming, horseback riding, biking, dinosaur track hunting, shopping in the historic square, wine tasting, and on the ranch! 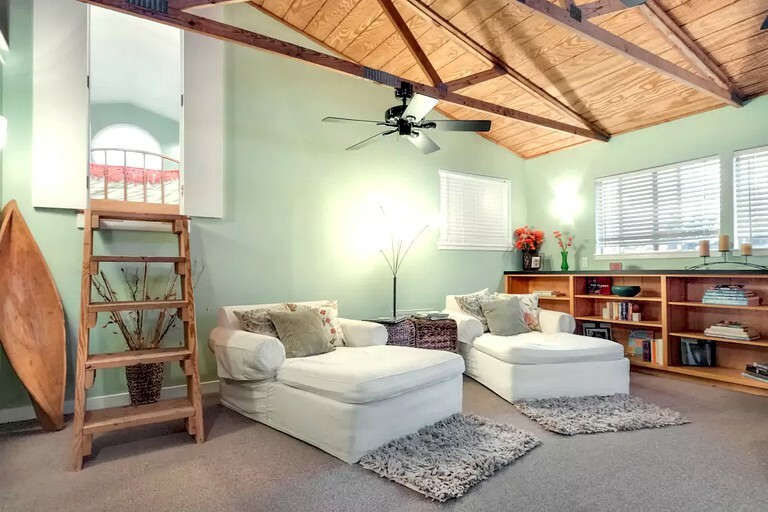 Please let the host know how many adults, kids, dogs (and if they are crated or uncrated) will be staying at this rental. 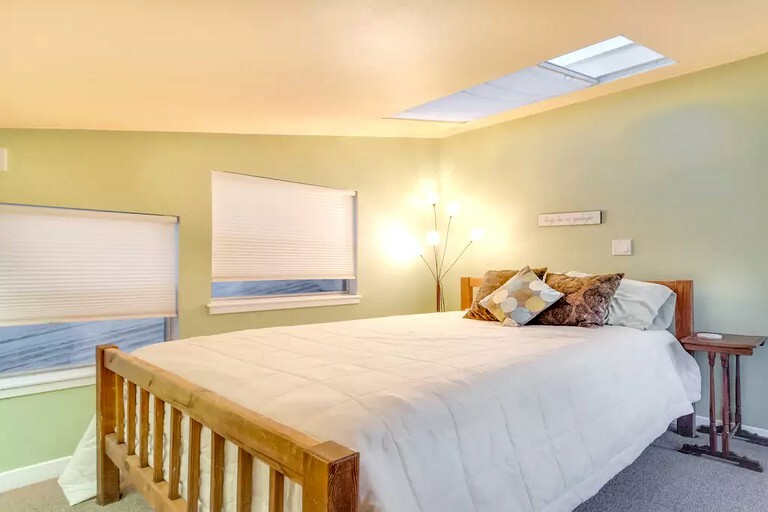 There is a refundable damage deposit of $250 required at this property that will be held on the guest's card at the time of booking, to be released back to the guest after check-out pending no damages.